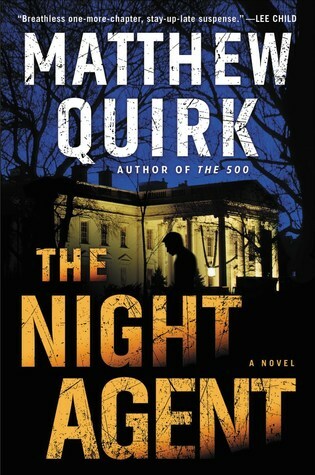 A perfectly serviceable political thriller, The Night Agent by Matthew Quirk introduces Peter Sutherland, a junior FBI agent who, despite being something of a pariah in security circles, has been given a second chance to prove himself. After all, his circumstances were through no fault of his own. Peter was just a boy when his father, an FBI counterintelligence chief, was accused of spying for the Russians, a mark on his record that that tormented the elder Sutherland for the rest of his life even after it ruined his reputation and career. Inevitably, the suspicions also fell on Peter, despite his efforts to play everything straight and do everything by the rules. He has followed in his father’s footsteps, becoming a surveillance specialist even knowing his chances of advancement are slim. However, all his hard work finally paid off the day Peter was offered a job in the Situation Room by the White House chief of staff. His role: to be the agent manning the night desk, monitoring any calls that might come in through the emergency phone lines during the graveyard shift. Even though none ever come, it’s still an important job, and Peter is also thankful enough just to have a position in the heart of the capital. What follows next is a whirlwind of action and suspense as Peter is thrust into the middle of a conspiracy that implicates the possibility of a mole hidden in the highest levels of the government. While our protagonist is no Jack Bauer (because, let’s face it, who is?) The Night Agent does have the tone, pacing, and feel of something like 24. This story admittedly requires quite a bit of setup, resulting in erratic pacing for the first handful of chapters as the author bounces between multiple perspectives in order to introduce all the characters and the plot’s background elements as quickly as possible. Things smooth out soon after that. Granted, I haven’t read too many political thrillers, but I imagine The Night Agent is pretty standard as far as the genre goes. The main focus is on the plot, ensuring that something interesting happens in every chapter with plenty of turning points and major reveals. Quirk isn’t one to waste his words and pretty much everything he’s written down is relevant to the main thrust of the story. This kept the momentum strong throughout and the narrative constantly driving forward so that I never found myself bored. Similar to my experience with most thrillers though, I also found characterization to be on the weaker side as more emphasis is placed on the thriller and action elements. But given the wild ride the author takes us on, it’s a trade-off I didn’t mind too much. Our protagonists also felt genuine enough, and easy to relate to despite the crazy situation in which they’ve found themselves. Peter is an unassuming figure, at least in the political arena that is Washington DC. He may work close to the president and his trusted staff, but at the end of the day he is a low-level FBI agent, unremarkable except for his father’s history. Rose, on the other hand, has a more vivacious personality. She has come to the city to stay with her uncle and aunt, who turn out to be couple of former spies. Both Peter and Rose are just ordinary individuals caught up in extraordinary circumstances trying their best to survive with the limited resources they have, which makes readers sympathetic to their struggle. All told, I found The Night Agent to be an entertaining read. I doubt it would change the world or blow any minds, but it certainly deserves a look if you’re into high-drama political thrillers. And while I confess this isn’t a genre I’m all that familiar with, after reading this novel I definitely wouldn’t mind reading more just like it. Ha, I LIKE long series. As long as they’re decent enough, that can mean a good years worth of reading that I don’t have to worry about planning. And if it flops half way through, well, c’est la vie, you know? Yep, I know the feeling. The last time I did a series marathon like that was with the Dresden Files where I think I read books 1-12 in a span of a few months. It felt good to always know what to read next, and I also felt I achieved something by being all caught up. But man, the burn out. I haven’t read any books in a series back to back ever since. A change of pace from my usual haunts of sci-fi and fantasy sounds like a good thing and this book the perfect way to enjoy a different genre. I like your comparison with “24”, that in its earlier seasons was a good adrenalin ride. Yeah, I’ve been delving into more thrillers lately, because you’re right, a change of pace is good sometimes! For all I like politics, I rarely read political thrillers. I am dipping my toe into more standard thrillers though. Hopefully I’ll get a few read this year! Political Thriller is a relatively new arena for me too. I find it interesting though that even subgenres of Thriller have their stylistic quirks. I don’t know that I’ve ever read a political thriller. This sounds like a pretty good read though. I’m pretty new to this subgenre too, and was surprised how much I enjoyed this! I was curious about this one. I have had trouble fitting in the thrillers lately, but I’m planning to try harder this year. Yeah, I’ve also been trying to do better with fitting in thrillers. There have been some good stuff coming out lately! Mmm, I’m enjoying thrillers at the moment but I usually like them to still have a little bit of magical realism – not sure whether I’d enjoy a political thriller, almost sounds to ‘real’. I’ll keep it in mind though.